Thank you for your interest in Hartwell Editing! At this time, I am not accepting any new clients. Welcome to Hartwell Editing! I have been in the publishing industry for 14 years, and I spent many of those years working as a development editor for a prominent higher education publisher. During that time, I worked closely with authors to help improve their prose, presentation, and voice. Since then, I have worked with many authors in several different academic disciplines and genres (including children’s lit, middle-grade, young adult, new adult, romance and erotica, action and thriller, as well as non-fiction and true crime). I began providing editing services for friends and family outside of my professional career in 2011 and founded Hartwell Editing in early 2014 as a way to open up my services to additional clients. Between 2014 and 2017, I spent three years as a member of the incredibly talented freelance editing team at Evolved Publishing, while also taking on dozens of independent freelance projects. 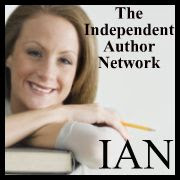 I am also proudly featured as a preferred freelance editor by the Independent Author Network. Plain and simple, every book needs to be professionally edited. I am willing to work with you to make sure you get the services you need for an affordable price. Your book deserves it. Please contact me to discuss my services and rates!